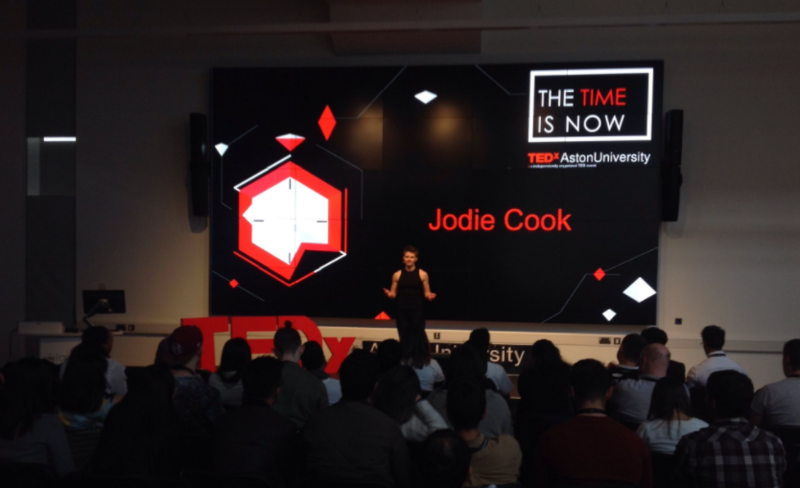 On Saturday 20th May 2017 Jodie Cook, our co-founder, gave her TEDx talk at TEDx Aston University, alongside 9 other speakers. The day was organised by the TEDxAston University team and was held at iCentrum in the Science Park. Jodie’s TEDx talk is called: Creating useful people. After starting a social media agency at the age of 22, Jodie Cook became fascinated with the childhood influences that encourage enterprise and entrepreneurship. This led to her co-creating Clever Tykes: a series of children’s storybooks that inspire positive, resourceful and creative behaviour in primary school children. In January 2017 Jodie, along with her Clever Tykes cofounder, secured sponsorship to gift the storybooks and teaching resources to all 23,000 primary schools in the United Kingdom and they are now determined to do this in every country. 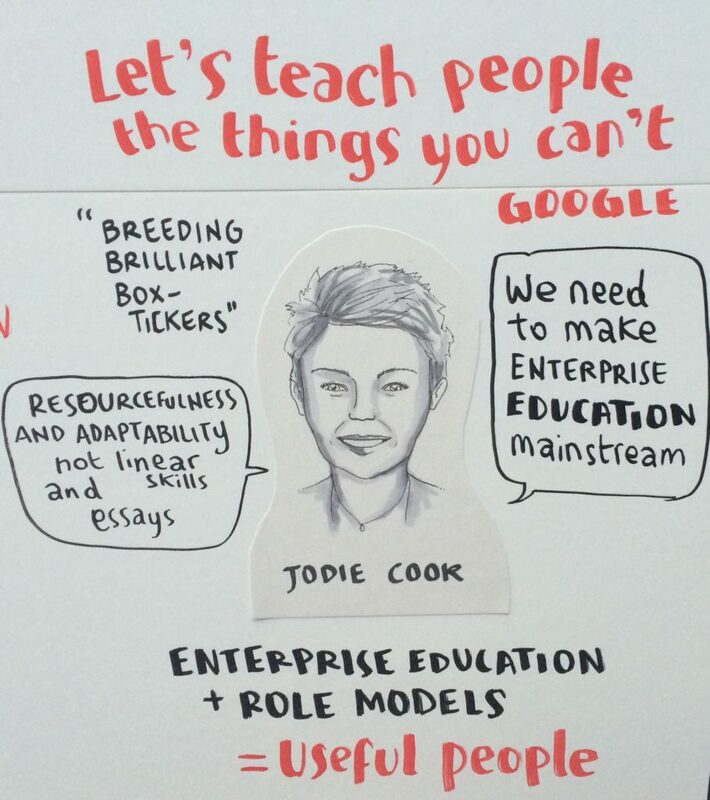 As part of her talk for TEDxAstonUniversity, Jodie will expose her ideas about enterprise education and how we can prepare the future generation for jobs that don’t exist yet. Caitlin Moran, “Why I should run our schools”. Article published in the Sunday Times Magazine. Ken Robinson, “Do schools kill creativity?” Most-viewed TED talk of all time. Cameron Herold, “Let’s raise kids to be entrepreneurs”. TED talk. Everything I’ve ever achieved, in my whole life and career, has been down to one thing. Every milestone, every award, every success has been down to the fact that when I was a small child, whenever our family went on holiday, my mum made me pack my own suitcase. Now, this might not sound like a life-changing event, just packing for a trip. But actually, from a young age, it taught me every skill I use today. 1. It taught me how to PLAN for the future – even if that ‘future’ was just a weekend at grandma’s. 2. It taught me how to work within a CONSTRAINT – the suitcase was only this big [—–], and there definitely wasn’t any spare room in my sister’s! 3. It taught me CRITICAL THINKING. What was I doing? What would I need? What was my priority and which sacrifices did I need to make? 4. It taught me INDEPENDENCE AND DECISION MAKING because no one else was going to decide for me. 5. It taught me about learning from my MISTAKES – the mistakes I made when packing for previous trips. What I realise now, is that everything I was learning while packing my own suitcase made me, by my own definition, a useful person. 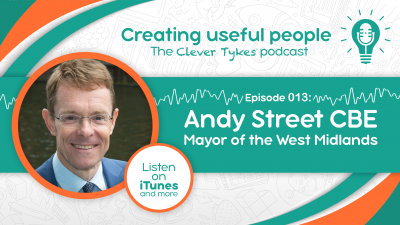 And I believe that we need to create millions more useful people and today I’m going to share with you how we can do that. 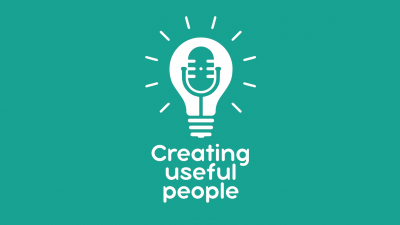 So why do we need useful people? Well, the jobs market is changing faster than ever before. A recent study carried out by Oxford University predicts that 35% of existing jobs in the United Kingdom are at risk of automation in the next 20 years. That’s over a third of jobs within the next 20 years. I remember being 16 and going to see the CAREERS ADVISOR at my school. If I had said then, that I want to be a social media manager, I’d have had some strange looks. That job didn’t exist. Social media didn’t exist. Yet just 6 years later, at 22, I set up my own social media agency. By the age of 28, I’d hired 30 people and grown my social media agency. Yet it was the suitcase rather than school that gave me the skills to do this. For me and for every one of the 30 people I have hired, those careers advisors probably told them they should be lawyers, accountants, or as my friend Rob was told, “a fisherman”. No one’s said social media manager! Is it essential today to know the properties of halogens? Is it essential today to know the ins and outs of trigonometry? Is it essential today to know where tectonic plates meet? And are we just going to Google these things anyway? Enterprising people solve more problems than they create. They make better decisions, faster, make fewer mistakes, cause less admin. They won’t follow a system just because it’s there, they’ll question it. They’ll progress the world like no one else can. So why aren’t we creating more useful people with the enterprising skills that I’ve talked about? Recently I was chatting to Sian, one of my best friends, which I think explains this. Sian is an English teacher at a secondary school here in Birmingham. She is desperate to teach her pupils to think creatively about texts, and promotes role-play and other innovative activities to develop a broader range of skills, including communication. But, the parents of her pupils don’t want that. Every week, after school, she has parents lining up outside her classroom door, asking her why she isn’t setting their children an essay a week. “That’s what they need to do to get an A in English”, they say. “Just get them to do that!” They question her teaching. • Schools need their kids to pass exams. • Parents want their kids to do well at school. • The best teachers understand a change is needed, but the curriculum can’t keep up. If you think about it, we’re not even learning subjects; we’re learning how to pass exams. We’re learning how to play the system. The education system is breeding brilliant box-tickers. But robots can tick boxes. Robots can follow procedures without making mistakes. Let’s teach people the things you can’t Google. As it stands, what we’ve created is a conveyor belt of education. We go to school, pass exams with ever-increasing importance so we can get to sixth form, and then go to the best university possible. Then, as graduates we find the best graduate scheme possible, with a view to landing a career job. We’ve really bought into this ideology of the ‘career’. So much so that almost without question, we’re prepared to put ourselves over 30 grand in debt on the promise of this great career. But whatever you think of this system, we know for a fact that the career part of it is changing. As I mentioned before, 35% of jobs will be automated and the rest of them are changing on an almost daily basis. We don’t know what the careers of the future look like. 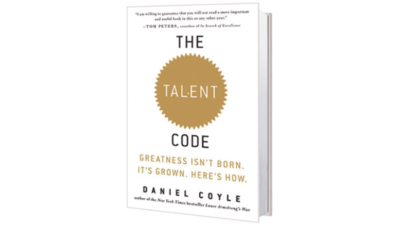 What we do know is we need to develop the useful people that can excel in any role. The positive, resourceful and creative behaviour that fits my definition of a ‘useful person’, is developed by teaching enterprising skills. So instead of trying to teach people to be enterprising, we try to find role models. We point to famous to entrepreneurs and business people. To people we see on the television and in the media. People like… the dragons on Dragon’s Den. Great examples of enterprising, useful people. And yet… they’re sitting in a dark room, behind huge wads of cash, scowling at anyone who dares to approach them. People like… Lord Business, the evil antagonist in the Lego Movie (which I went to see for research purposes). In the film, Lord Business is dressed in a dark pinstriped suit, towering above everyone and gluing all the Lego together so no one can play with it. Then there’s Harry Wormwood from Matilda, Mr Burns from the Simpsons or Scrooge from a Christmas Carol – greedy, mean business people. • This is enterprise, we are told. • These people are enterprising. • But will any of these characters help to inspire enterprising behaviour, and help us create useful people? There’s a mismatch between the portrayal of being enterprising, and what it actually is. It’s no one’s priority to address this. • Schools want their kids to pass exams. Developing useful people is NOT the central point of education, yet it’s the only thing that matters. What if we developed resourcefulness and adaptability rather than taught linear skills and essays? What if we had positive, enterprising role models? Ones that inspired a change in behaviour? Back in 2012, I was invited to a roundtable discussion with 12 other young entrepreneurs, who had each set up their business with less than £1000. The chair of the meeting went round the table and asked everyone about their business: when they set up, turnover, how big their teams were, etc. I felt so out of my depth! Within the twelve there was a guy who became a millionaire at 14, there were people managing huge teams of people, creating household brands. I had, like, the smallest business in the room at the time. I put my hand up, because my mum’s been self-employed for 15 years, thinking there might be a few others. Eleven out of the twelve raised their hand. So this was quite a wow moment, looking around the room going ‘ahhh’. Eleven out of the twelve of us had an enterprising parent as a role model. This isn’t about money; we’d started our businesses with less than £1000. This is about USEFUL PEOPLE CREATING MORE USEFUL PEOPLE. We were the lucky ones, to have our own parents as role models. What I realise now, is that in making me pack my own suitcase, my mum was passing on her useful person skills. So it led me to believe that first, you need to find a role model, to become enterprising. Then you need to be a role model, to inspire others. But what about kids who don’t grow up with enterprising parents? Who are their role models? My own take on helping people find enterprising role models, was to write them into storybooks. Storybooks for children ages 6-9, to get them familiar with characters who are useful people themselves. 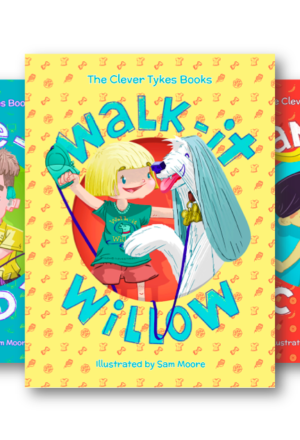 Earlier this year my cofounder and I secured sponsorship to gift the Clever Tykes storybooks into all the primary schools in the UK – to give 4 million children an enterprising role model no matter what their background. We also made online teaching resources, free of charge, which now 1000 forward-thinking teachers use to teach enterprising skills to their pupils. Another initiative is Start Up Loans, which gives small, low-interest loans and mentors to support grown-ups who want to start their own business. But do you know what’s genius about this company? It’s not actually focused on teaching people how to start a business; it’s focused on developing enterprising people. It was essentially set up so people could “play businesses” and learn from mentors – real life role models. It’s a great example of enterprise education. In reality, who cares if these people go on to run their own business, work as freelancers, or work within companies; public sector, private sector or third sector? What we care about is developing their enterprising skills so they can do anything they want to do. Both of these examples took a group of people completely separate to the education system to come up with and implement this kind of enterprise education. You can borrow 30 grand to go to university and spend three years getting a degree. Or you can borrow 3 grand to give entrepreneurship a crack, develop commercial awareness and learn how to be a useful person. One of these is completely mainstream, completely accepted. One of these is seen as a crazy risk. When we begin to appreciate the fact the existing and future jobs climate needs useful people and that this is MORE IMPORTANT than teaching them to follow procedures and pass exams, we’ll adapt the world around us like never before. It will only become mainstream when people care about it enough, when they see how equipping people with enterprising skills is the way to help them adapt to an unknown future. There’s Enterprise Nation, Enterprising Child, Enabling Enterprise, Young Enterprise, We Are Lucky, Clever Tykes, Female Entrepreneur Association, Start Up Britain, Start Up Loans, Stepping into Business, the Hot 500. The problem is, whilst you may have heard of some of those, they are not yet mainstream. It’s down to the useful people like us to be enterprising to inspire the next generation to be enterprising too. We have to stress the importance of enterprising skills. We have to be role models for those at the start of their journey. 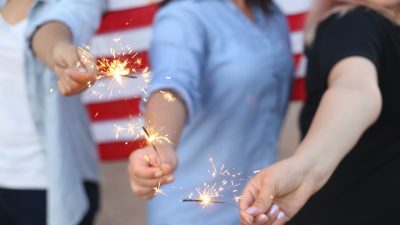 We have to make sure those forward-thinking teachers stick to their guns and push the agenda for developing resourceful kids who will be the useful people of the future workforce. Parents – at the very least, make sure your son or daughter packs their own suitcase.